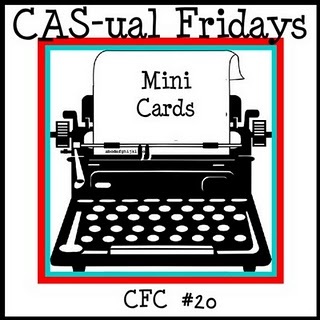 I made this one for the latest CAS-ual Friday Challenge #20, Mini Cards. It is also another for the LIM Challenge as they are trying to get to 1000 submissions. The size of this card is 2.5 x 3.75 (6.5cm x 9.5cm). Hi Tracy! I just had to drop in and tell you how MUCH I love your mini card! 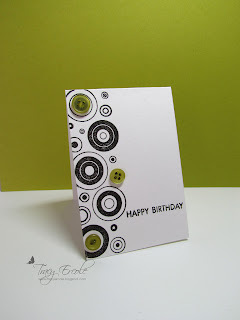 The color is fab (I love green) and the circle design, just very classy. I am a new follower of your great blog and would love to have you pop over for a visit and perhaps follow too! Nice Job! Thanks so much for helping yet again in our attempt at 1000 entries to our challenge this week. Super funky card! LOVE the splash of green! What a fun lil card! Beautiful stamping! Glad that you join the fun with us at CAS-ual Fridays! Love the design! What a cool card! 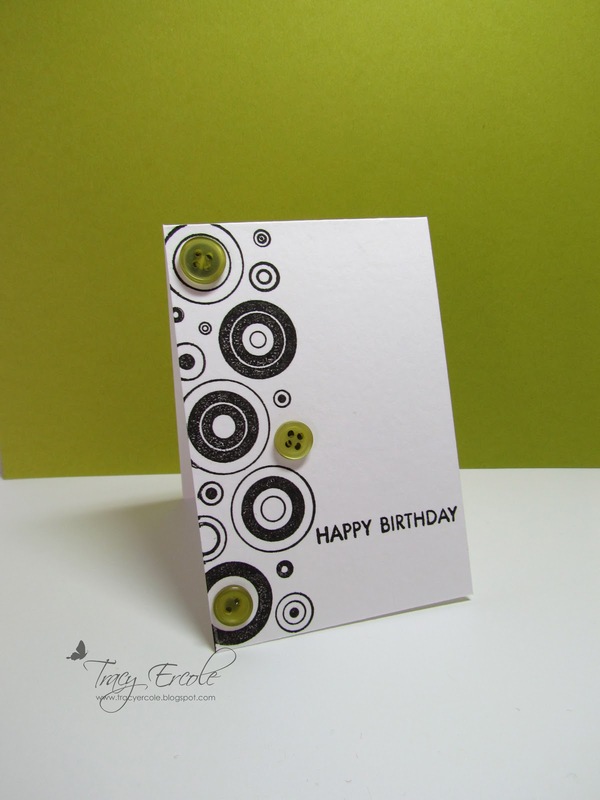 A wonderful, modern and hip card! Great work! Clean, graphic and oh so cute! This mini card is top notch. It was so fun to see what you made for our CAS-ual Friday challenge this week! Thanks for joining us. So fun! Love those clever circles!! Thanks so much for playing with us at CAS-ual Fridays! !